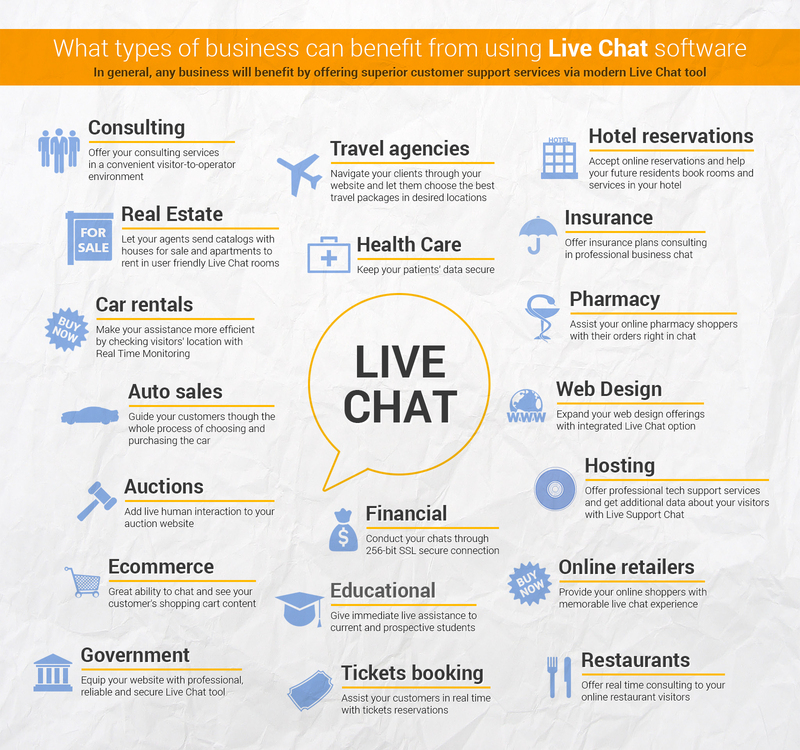 Are there any particular businesses which will benefit from using Live Chat software? In general, for any business superior customer support services will help to increase customer satisfaction rates and double or triple ROI. Live Chat software offers not only click-to-chat feature, but also detailed real time monitoring results as well as traffic stats reports which may be used for marketing purposes and will be a great assistance in making more responsive website design. Check this infographic to find out if your business can benefit from using Live Chat software for assisting customers. This entry was posted in Infographics and tagged business live chat, Live chat for business. Bookmark the permalink. Basically any company that aims to achieve success can and should use a live chat support software. Live chat support makes your support system more personalize and REAL. Customer’s will appreciate the fact that you are indeed present to assist them with their concerns. Totally agree with you. Live Chat gives an opportunity for visitors to get support with a click, and for support agents to offer fast replies, navigate visitors through website pages, send different types of files. Live Chat enhances support quality, lets visitors interact via modern communication channel. And what is more important, Live Chat agents can practice multitasking, as serving several customers concurrently or working on tickets while waiting for customer’s reply is possible.